The lakes of northern Italy and southern Switzerland have drawn travellers for centuries. There is a special attraction, an allure that pulls people as if by magic. Now rowers are also being enchanted by the charms of this region. It has cast its spell on us and is one of our favourite places. We have been drawn here every year for some of the most spectacular rowing in the world. Join us and let this region surprise you with its charm and warmth. It will take your breath away with its unparalleled natural beauty. Discover the pizazz of Italy with the precision of Switzerland, separate countries but bound together by their shared geography, a common language and a long history of welcoming visitors. 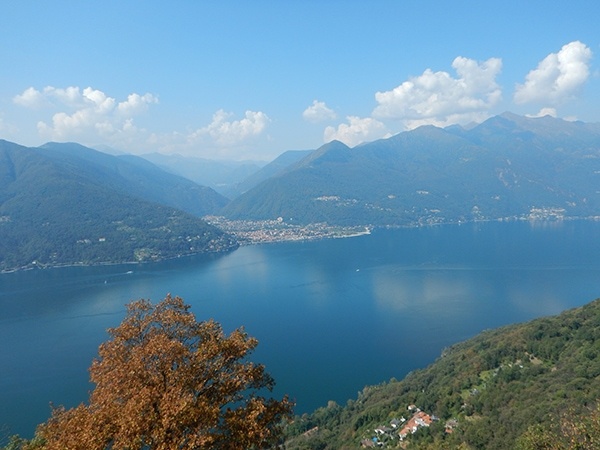 Lago Maggiore effortlessly straddles the two countries. Firmly rooted in Italy, it also wraps its shoreline along a beautiful part of Switzerland, where the Alps rise dramatically behind the lake. 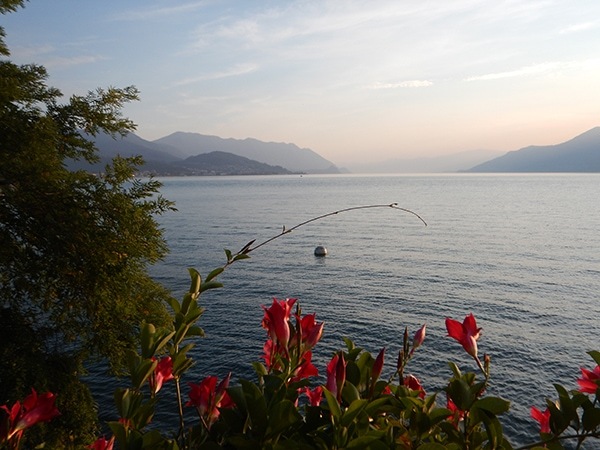 As Italy’s second largest lake and its longest, there is a lot to explore here. 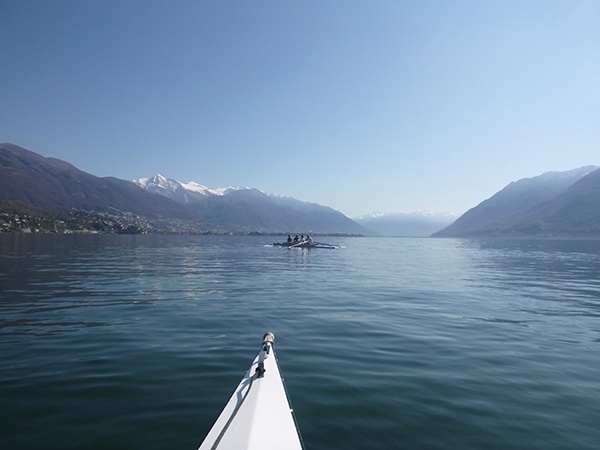 Get to know this majestic lake with a wonderful week rowing its waters on this Italy rowing tour. Coastal rowing shells give us the freedom to follow the shore or cross back and forth as we seek out the loveliest scenery and most enchanting sights. 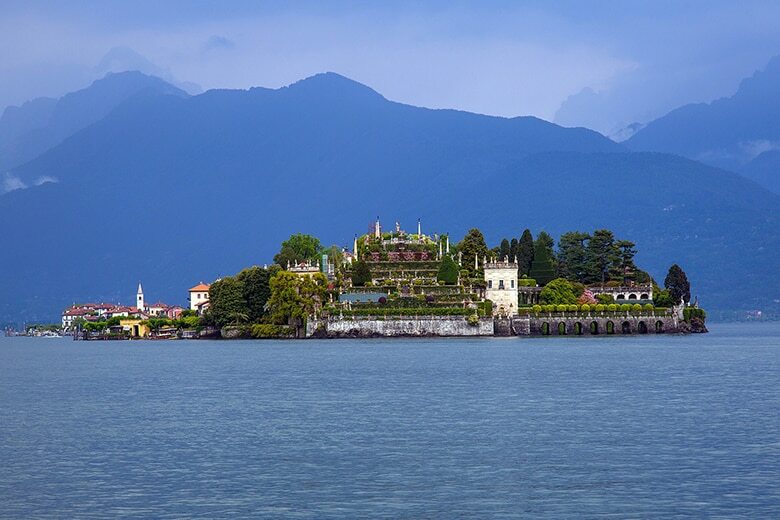 We will row past opulent hotels in Stresa, the wealthy waterfront of Ascona, tiny villages perched high on the hills above, plus a diversity of islands, one sporting a castle, others with grand gardens and villas, another simply covered in willow trees. There is always something interesting and beautiful to look at as you row. While the focus is on the rowing, we will squeeze in a few cultural and off water activities. A highlight is a visit to a garden rich with colour, beauty and history. Stroll coastal paths and elegant waterfronts, descend to a monastery perched on a cliff above the lake. Sit in the warmth of a sunny café to watch chic people passing by in a square decorated with buildings painted white, yellow, pink and ochre, the vowels of Italian floating above the clink of glasses. And then there is the food. Savour a morning cappuccino and pastry, for lunch enjoy fresh panini or a hot slice of pizza, and at dinner sample a heaping bowl of risotto alla Milanese or a serving of polenta with lake fish. Enjoy local wines or perhaps prosecco or just a refreshing glass of sparkling water. Be charmed and enchanted. 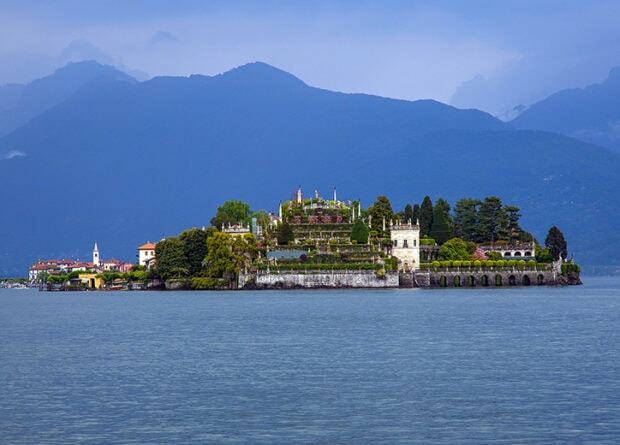 Let magical Lago Maggiore cast its spell on you. 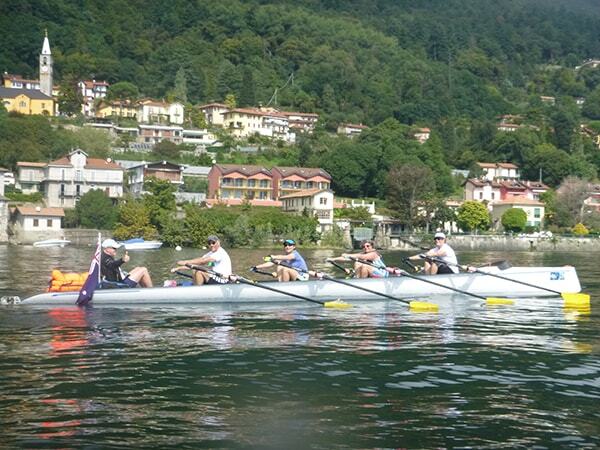 It’s a short ferry trip across to Angera where we find our boats and head out for our first row on this Italy rowing tour. 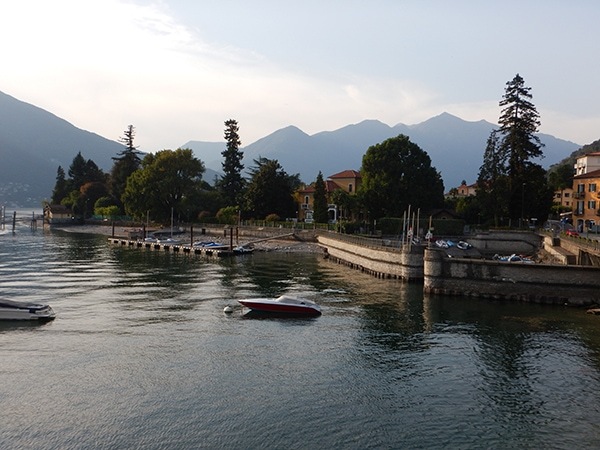 This southernmost arm of Lago Maggiore is the most intimate part of the lake, where Lombardy to the east and Piedmont to the west almost touch. Our row takes us to one of the most spectacular visits of the entire lake. Santa Caterina del Sasso is a hermitage and monastery cut into the cliffs above the lake. We will climb the stairs to the original Chapel of the Rock and will admire the frescoes of the Chapterhouse, as well as the wonderful views. We leave the boats in Reno and return to Arona. What shall we do this afternoon? Maybe a little wine tasting? Stroll the waterfront? Anticipated rowing distance – 17 km. In the morning we return to Feriolo to continue rowing. We will follow the shore all the way to Cannero Riveria. This will give us time to observe the multitude of villas and gardens and little beaches and start enjoying views as the hills grade higher and higher into the edge of the Alps. Before landing we will circle the nearby islands dominated by a huge castle. We will have time to relax in the afternoon, perhaps swimming at the beach or strolling the shore lined with orange, lemon, olive, magnolia, azalea and mimosa trees. Off the main road and away from the crowds, this is a seductively quiet Italian paradise. Tonight dinner is on your own. Anticipated rowing distance – 22 km.